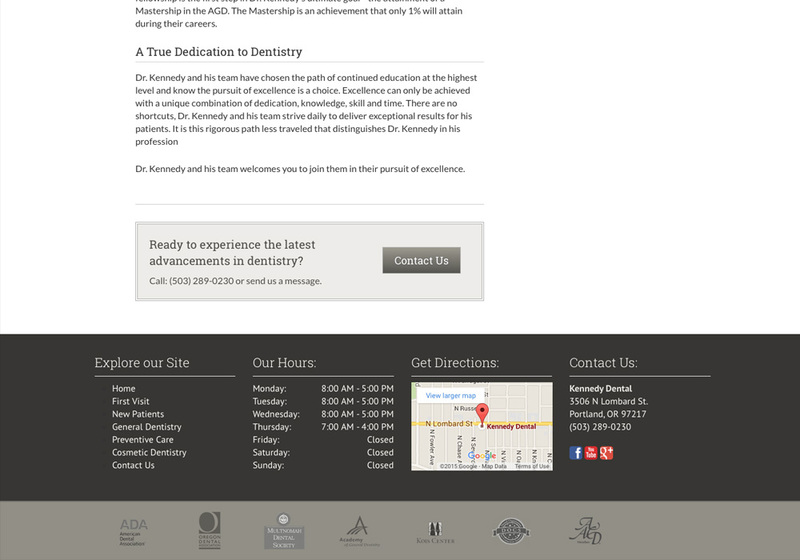 When Kennedy Dental came to us, they had an old site that was built in the early 2000’s. 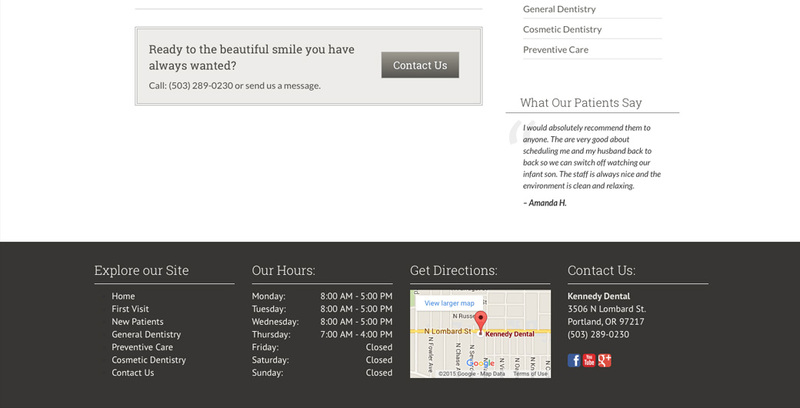 It was not optimized for the search engines or mobile devices and that was two pain points that they wanted to fix. 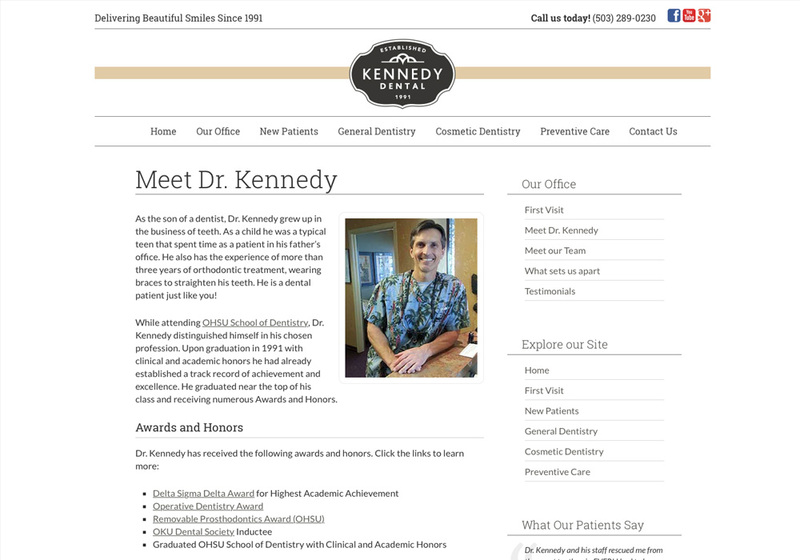 At the same time, Kennedy Dental was recently rebranded so we had a clean slate to make their presence online match what the practice wanted. 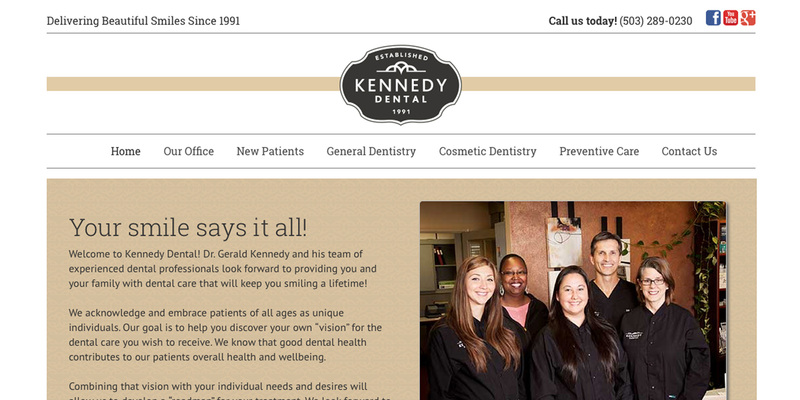 Dr. Kennedy and his team realize that the internet is a vital marketing channel for his dental practice. 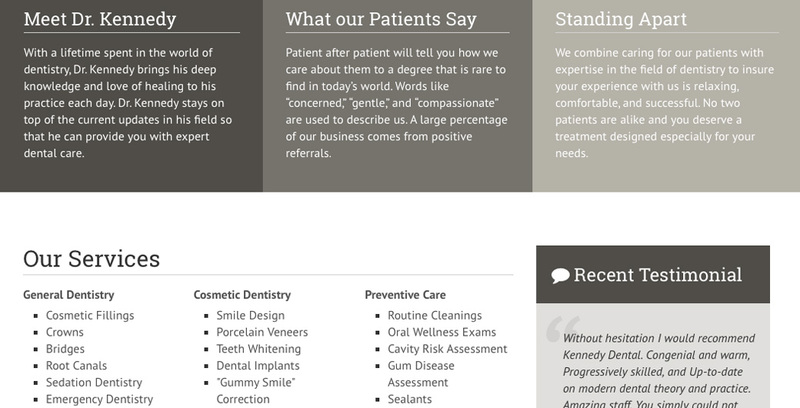 Being committed to the growth of his practice, we created a multi-phased site design that gives him an excellent foundation that also allows us to keep adding additional features throughout time. 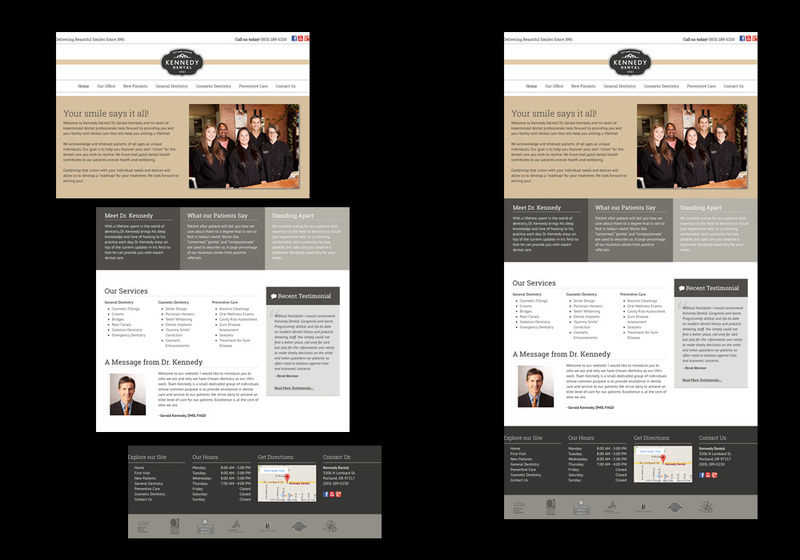 We designed the homepage to allow a visitor get to every area of the website in the middle of the homepage. 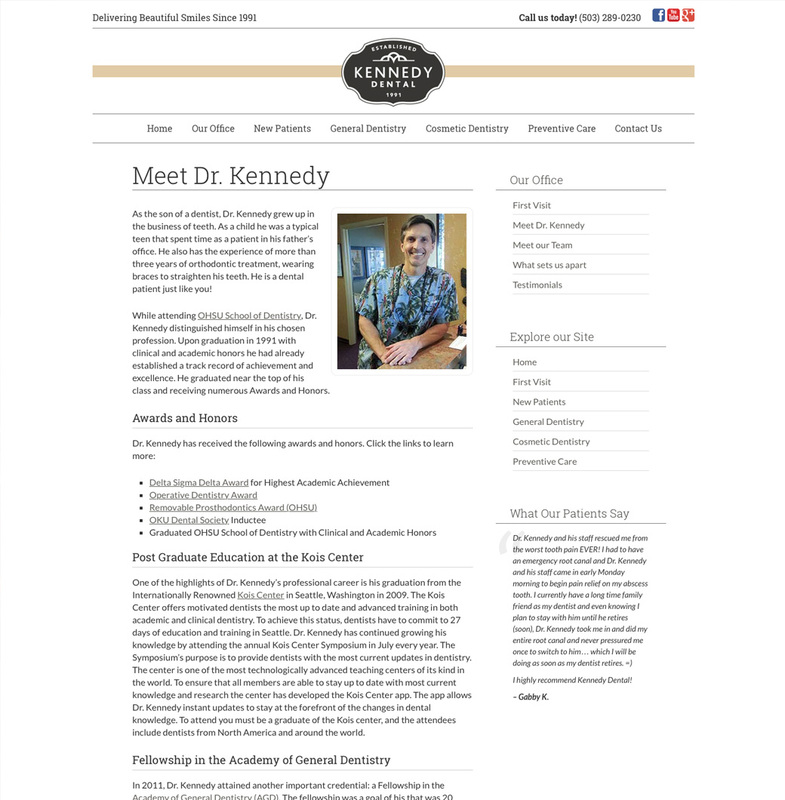 After looking at the page analytics, we found that this was very effective and something that they have appreciated when getting to learn more about Kennedy Dental.